East Texas Invitational moved to Thursday and Friday. COMMERCE – With inclement weather coming to the area this weekend, Texas A&M University-Commerce has moved the East Texas Invitational track and field meet up to Thursday, April 11, and Friday, April 12. No admission will be charged to any of the events. Discus, hammer throw, pole vault, and long jump will take place on Thursday, with other activities Friday. Road series against Tarleton moved to Thursday, Friday. COMMERCE– The No. 8 Texas A&M University-Commerce softball team has announced a schedule change. Due to potential inclement weather late in the week, the Lions’ series against No. 21 Tarleton will now be played on Thursday and Friday. The teams will play in a single game on Thursday at 6 p.m. The teams will then meet in a doubleheader on Friday starting at 1 p.m. All games will be played at the Tarleton Softball Complex in Stephenville. The No. 8 Lions come into the series with a record of 33-9 and 19-5 in conference play. The Lions have won 11 games in a row, including sweeping their last three conference series. Tarleton has a record of 30-9 and 14-7 in conference play. The teams met six times last season, with the Lions winning five of the six matchups. 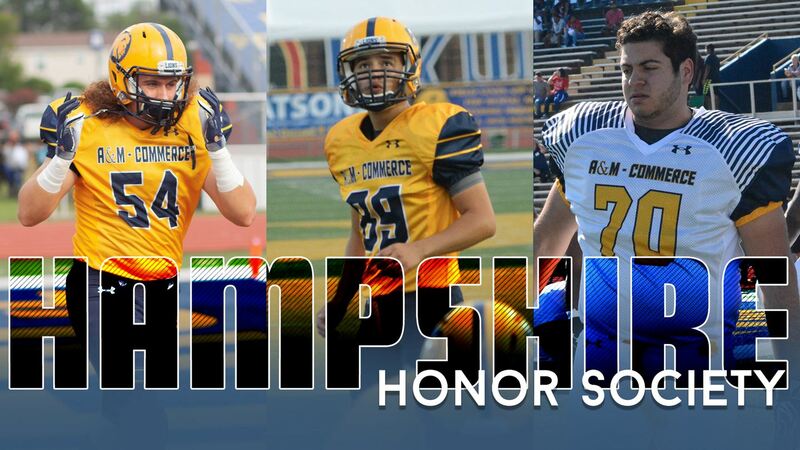 Three Lions named to NFF’s Hampshire Honor Society. 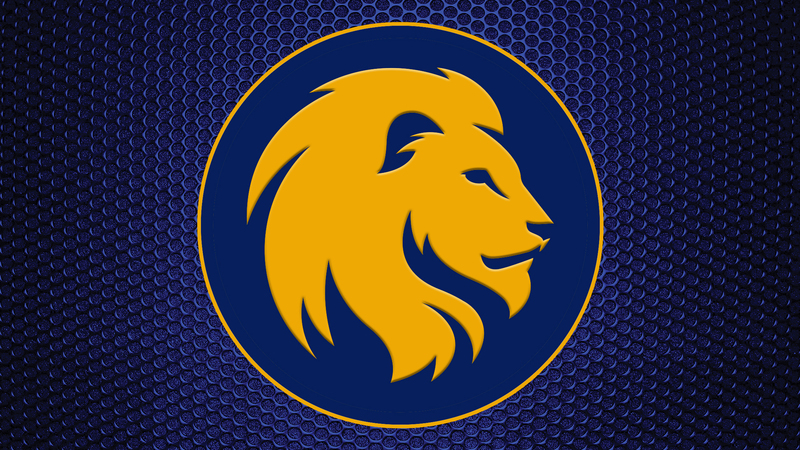 IRVING – The Texas A&M University-Commerce football team has had three Lions named to the National Football Foundation and College Hall of Fame’s 2019 Hampshire Honor Society, as announced Wednesday. The Lions’ honorees are linebacker Garrett Blubaugh (Keller), kicker Kristov Martinez (Edinburg), and offensive lineman Abdul Shammaa (San Antonio – Reagan). The 2019 NFF Hampshire Honor Society is comprised of college football players from all divisions of play who each maintained a cumulative 3.2 GPA or better throughout their college careers. An all-time high 1,643 players from a record 424 schools qualified for membership in the society’s 13th year. – Graduated players, who have remaining eligible but will not return to collegiate play (e.g., declared for NFL Draft or retired from football), may also be nominated. – Met all NCAA- or NAIA-mandated progress toward degree requirements. The NFF Hampshire Honor Society capitalizes on the NFF’s National Scholar-Athlete program by significantly expanding the number of scholar-athletes the NFF can recognize each year. The program further strengthens the organization’s leadership role in encouraging academic performance by the student-athletes at the 778 colleges and universities with football programs nationwide. LOUISVILLE, Ky.– The Texas A&M University-Commerce softball team is now the No. 8 ranked team in the nation in this week’s National Fastpitch Coaches Association coaches poll. The Lions moved up from No. 10 last week. The rankings were released Wednesday by the NFCA. The Lions have been nationally ranked in 22 consecutive polls dating back to last season. The Lions have won 11 games in a row, sweeping their last four series, including their home series against Texas Woman’s last weekend. The Lions currently sit at 33-9 for the season and 19-5 in the Lone Star Conference. 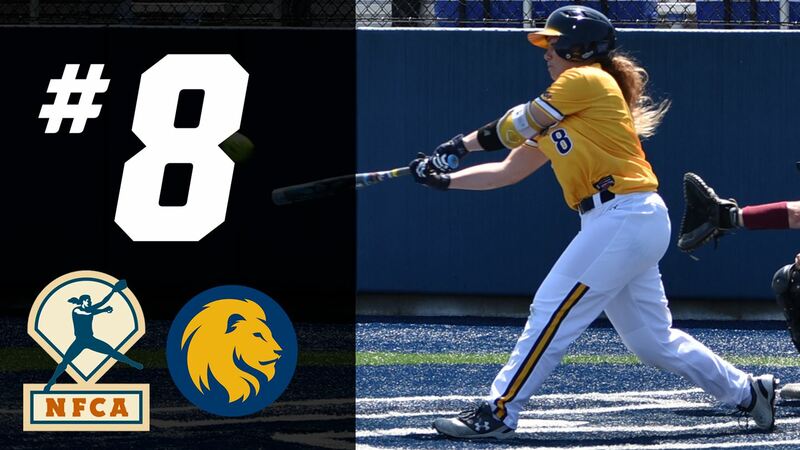 The Lions lead the nation in fielding percentage, are second in home runs per game, fourth in slugging percentage, fifth in on-base percentage, eighth in scoring and eighth in shutouts. A&M-Commerce is one of four teams from the LSC in this week’s top-25 poll, and one of three teams in the top 10. A&M-Kingsville is ranked fifth, followed by West Texas A&M at seventh, A&M-Commerce at eighth and Tarleton at 21st. The No. 8 Lions will face No. 21 Tarleton in a three-game series this week. The matchup will feature two of the hottest teams in the LSC. A&M-Commerce enters the series with an 11-game win streak and are winners of 13 of their last 14 games. Tarleton has also won 13 of its last 14 games. The series will begin with a single game on Thursday at 6:00 pm. The teams will then meet in a doubleheader on Friday starting at 1:00 pm. All games will be played at the Tarleton Softball Complex in Stephenville. Josh Boateng wins third consecutive LSC Field Athlete of the Week. 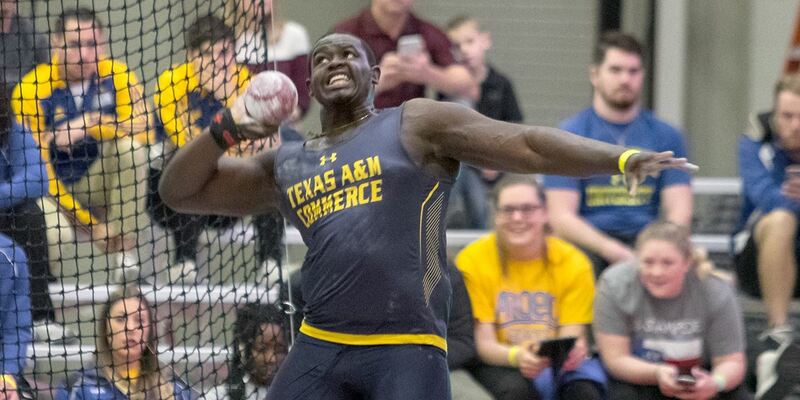 RICHARDSON – For the third consecutive week, Texas A&M University-Commerce’s Josh Boateng has been named the Lone Star Conference co-Field Athlete of the Week. In the discus throw at the Angelo State David Noble Relays, Boateng (St. George’s, Grenada) continued to improve on his Division II-best mark, winning the event at 194-9 (59.37 meters). His launch broke the Grenadian national record by 2.45 meters. The previous history of his home nation had been set in 2004. Boateng has improved on a nation-best mark in the discus in each of the last three weeks and also ranks in the top five nationally in the shot put. Boateng and the Lions host the East Texas Invitational this Thursday and Friday.